After our initial late night run to In-N-Out Burger the day before (it is a tradition we do that once we land in any location with an In-N-Out), our lunch destination went back to the well once more. 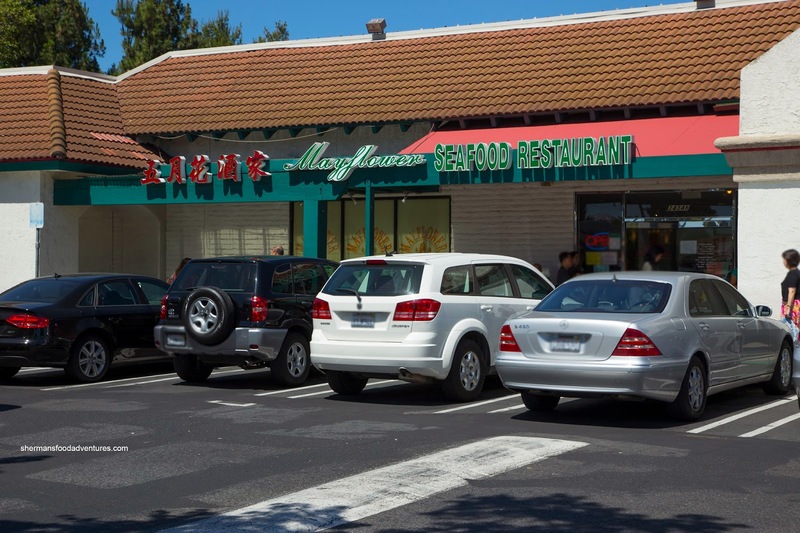 Actually, every time I visit San Francisco (which has been 6 times in the last 10 years), my uncle takes me to Mayflower Restaurant. I suppose he likes the place? 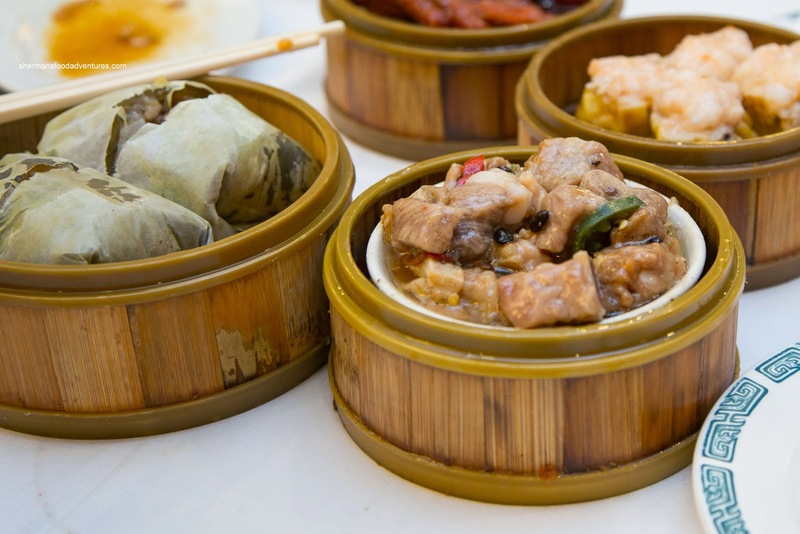 So we headed for Dim Sum at the Union City location because the one at Milpitas has gone downhill according to him. The first cart to visit our table was the one with the rice noodle rolls. We got one each of the Shrimp Rice Noodle Roll and Salty Donut Rice Noodle Roll. 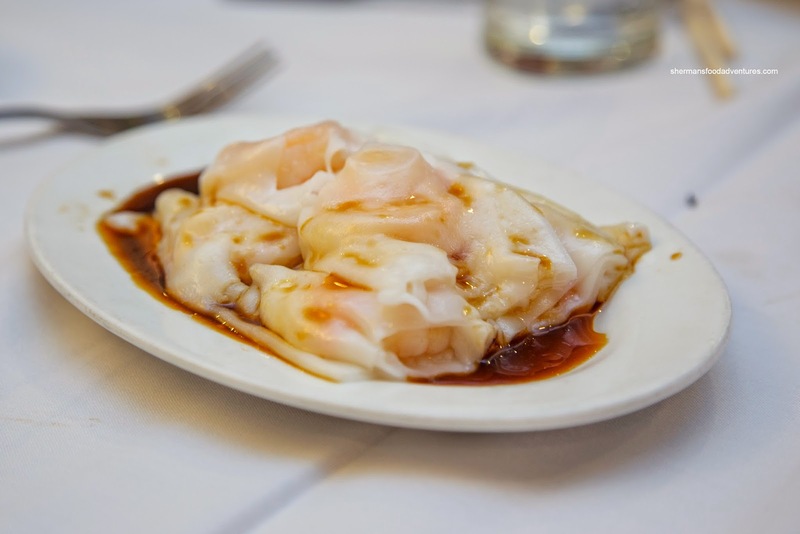 The first thing we noticed was the large whole shrimp hidden within the sheets of rice noodle. They were more firm-meaty than crunchy, but were good nonetheless. The rice noodle itself was relatively soft with a slight chew. As for the salty donut rice noodle roll, the noodle was consistent being the same texture. Although quite greasy, the salty donut retained its crunch while being not overly dense. 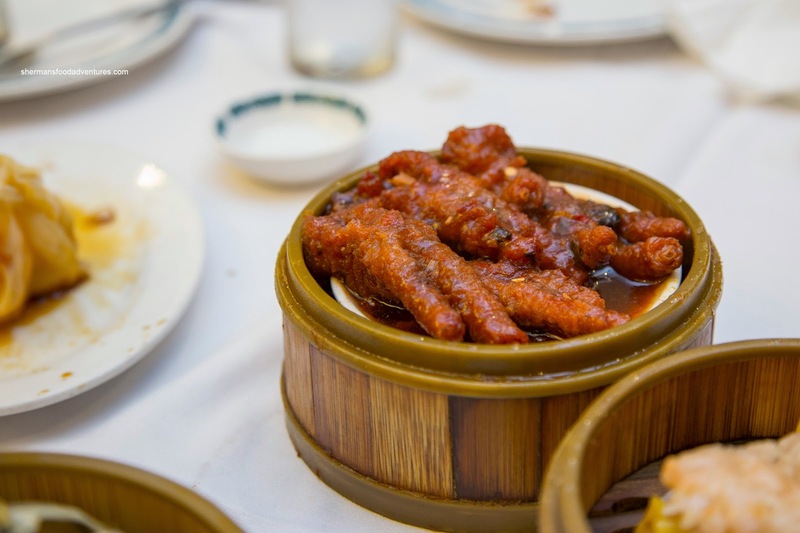 Appearing plump and in a rich shade of brownish red, the Phoenix Talons (Chicken Feet) were on point. Despite some skin breakage, the texture of the cartilage and fat was soft yet not melting. There was a slight rebound texture while the skin itself was moist. Flavor-wise, it was not longing for seasoning as it was garlicky, sweet and savory. Onto the Steamed Pork Spareribs, they were meaty with very few cartilage and fatty pieces. Texturally, the ribs were chewy with only a slight bounciness. Seasoning was balanced with the saltiness from the black beans and a touch of spice from the peppers. I would've liked to see more garlic though. Arriving in a stark shade of off-white, the Sui Mai (Pork & Shrimp Dumpling) didn't look that promising. However, the reason for this was due to the shrimp on top. Once again, the shrimp was more meaty rather than crunchy. As for the pork, it was moist and meaty as well with only a slight rebound texture. The dumpling did taste good though with a nice balance of flavours. 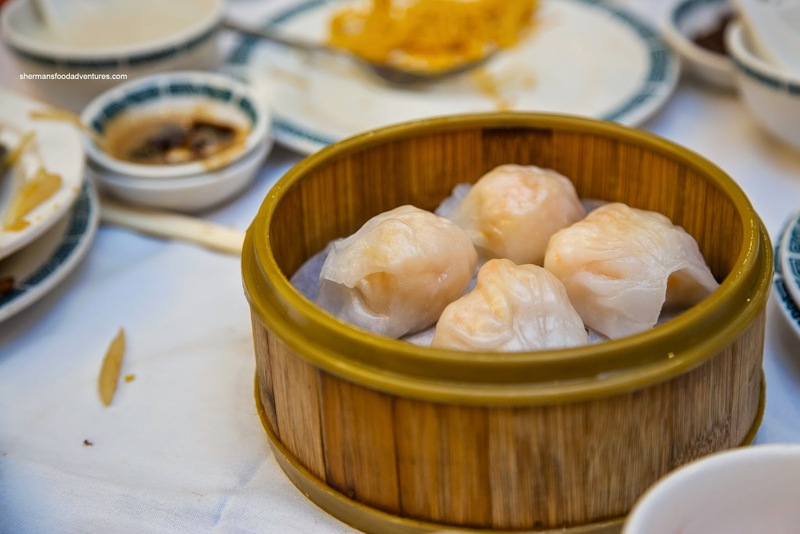 Of course we had to get the Haw Gow (Shrimp Dumpling) too since going to Dim Sum without eating it is like visiting a In-N-Out and not eating a burger. These featured a thin dumpling wrapper that was only a bit chewy. 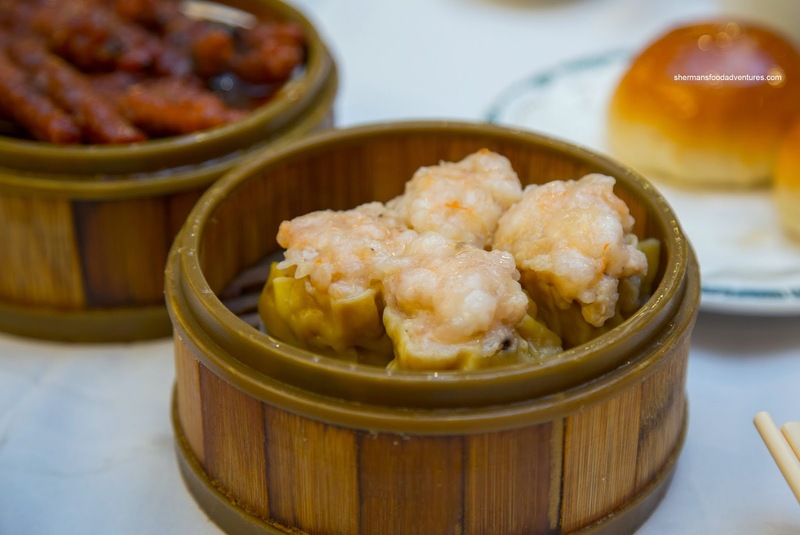 The shrimp filling was moist and meaty with very little snap texture. I wasn't a fan of the bamboo shoots due to its strong flavour. There was plenty of sesame oil though. For the kiddies, we ordered the Baked BBQ Pork Buns which featured a sweet sticky glaze on top (more sticky than usual). 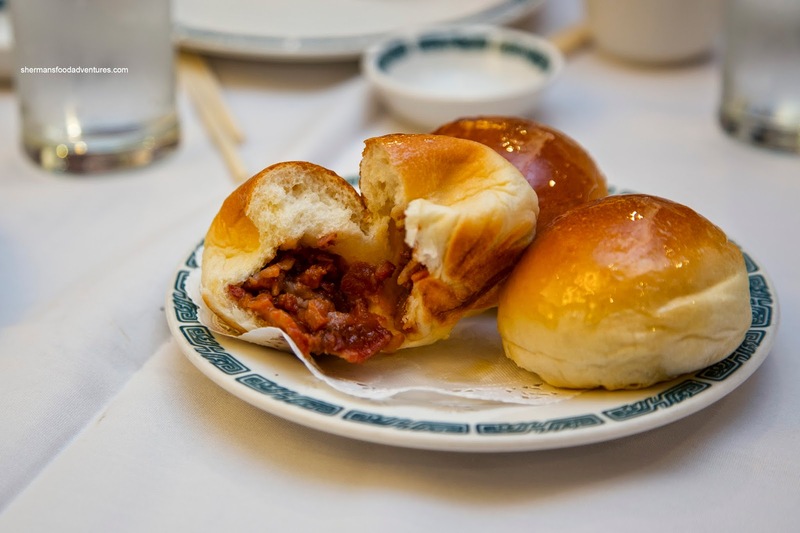 The bun itself was soft and airy while the BBQ pork filling was meaty with very little fat. Flavor-wise, it was not overly sweet, where it had a nice balance with enough saltiness. 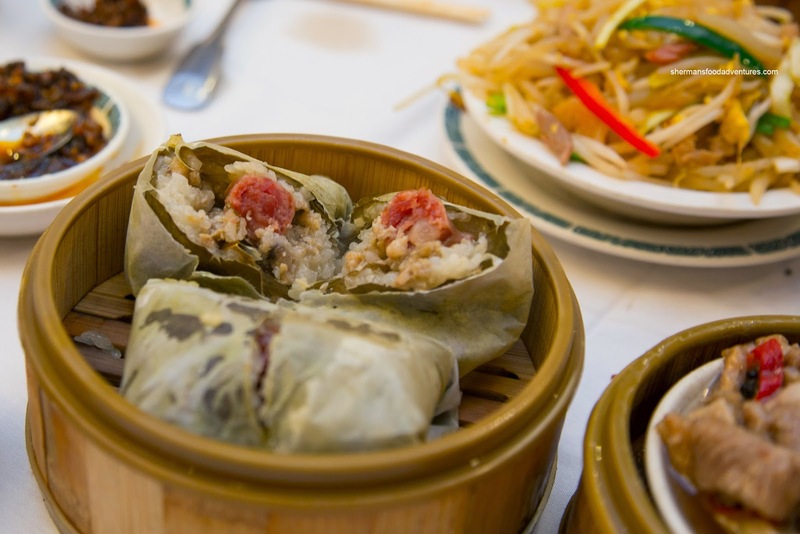 We also got the Lo Mei Gai (Sticky Rice) presented in 2 small parcels wrapped with lotus leaves. Inside, the rice was glutinous and a bit wet. The pork filling was plentiful, yet a bit bland. The extra layer of wrap helped keep it all together while locking in the moisture and flavor. To ensure maximum fullness, we got 2 filler dishes including the Fried Noodles with fish. Crispy on the edges while completely sauced in the middle, the noodles were pretty firm. There was possibly a bit too much sauce though as everything became goopy. 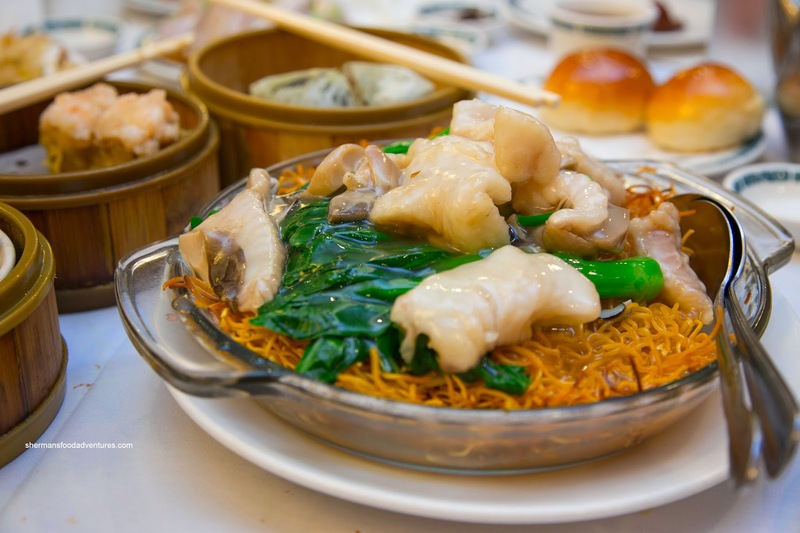 It was pretty mild as with the flaky slices of fish and crunchy yau choy. 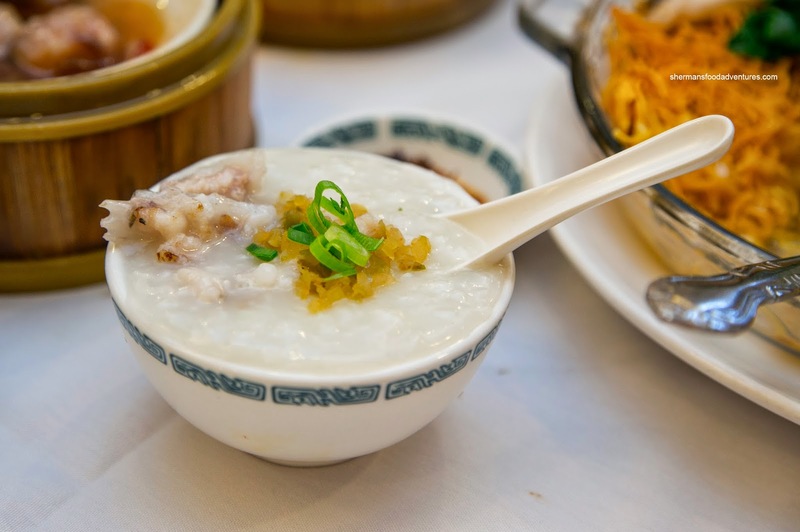 The fish bones were used for the Congee that was thick and sweet tasting. Yet, with each spoonful, it started to get watery. Futhermore, we needed to be careful as fish bones and in an all-white concoction can be a bit tricky to eat. 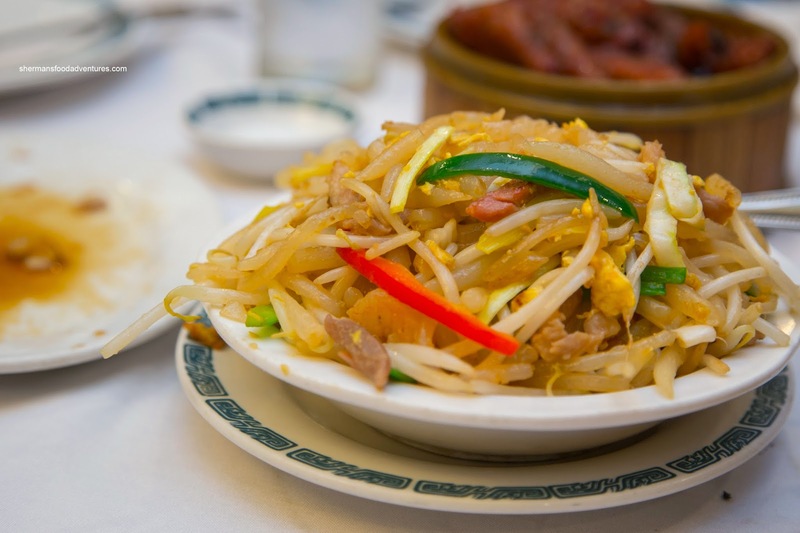 As if we didn't need any more carbs, we also got the Stir Fried Silver Needle Noodles. These had a nice rebound texture to them and were fried up with enough seasoning and ingredients. Yet, it seemed to lack wok heat which meant a lack of caramelization. On the other hand, the kids like the dish. 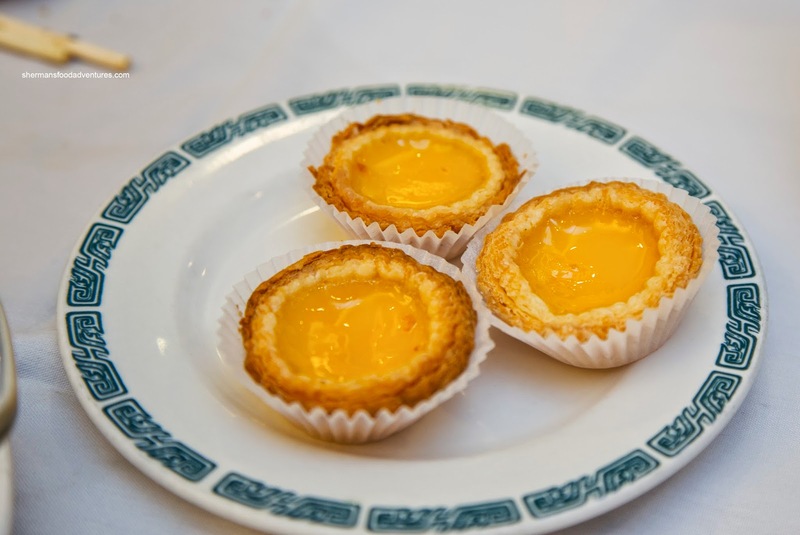 However, they didn't like the Egg Tarts because the shell was over-baked. It was too firm and no longer flaky. Furthermore, the custard was not silky as a result. It was overly sweet too. 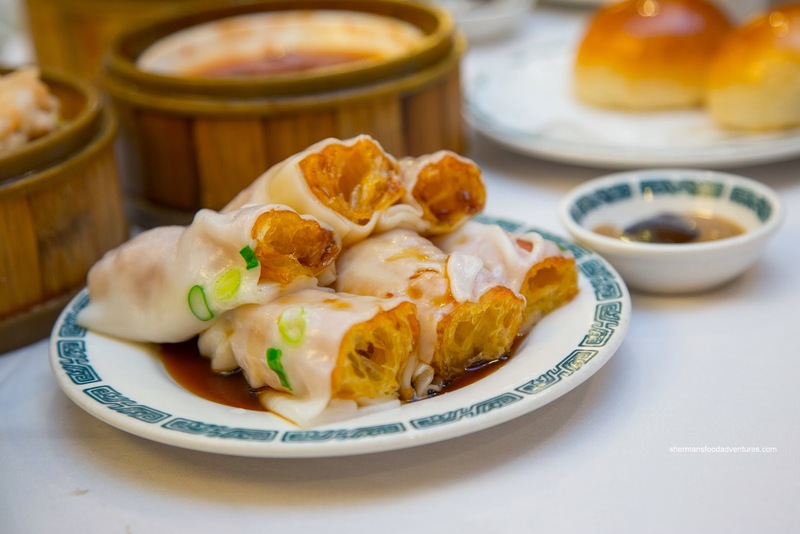 Despite the fact Dim Sum is somewhat of a comfort food for us, we felt the food at Mayflower was pretty average at best. Also, there never seemed to be anyone around to refill our tea and water.